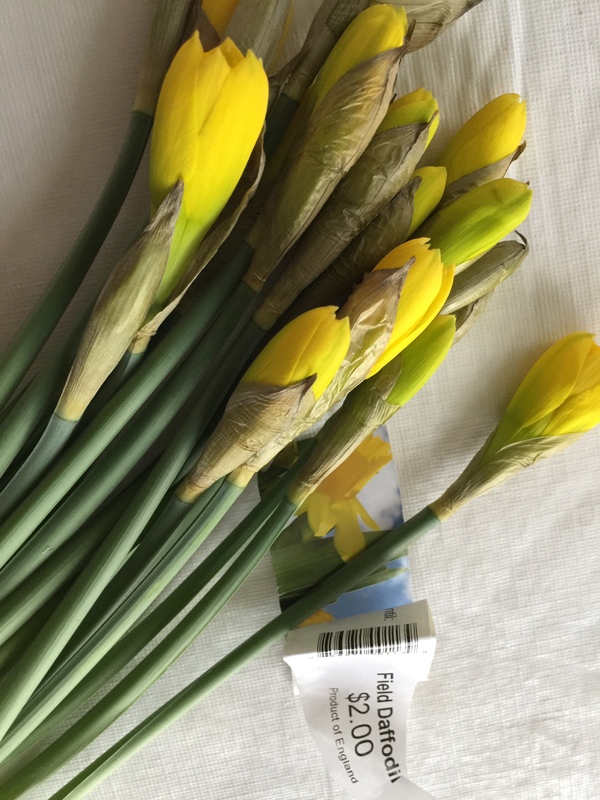 I’ve never seen daffodils priced at that incredible bargain here in Minnesota. I would buy several to fill my winter weary home with the illusion of spring. I bought two. Surely they were priced incorrectly. They came all the way from England!!! I like buying them from people selling them in the skyway as a fundraiser for March of Dimes.